James Geary is the author of Geary's Guide to the World's Great Aphorists and the New York Times bestseller The world in a phrase: A Brief History of the Aphorism. Michael Dirda discusses Classics for Pleasure. Michael Dirda reads from Classics for Pleasure. Prize-winning columnist discusses his new book as part of "Books & Beyond" series. Discussion will take place in the Library of Congress, James Madison Building, Pickford Theater. 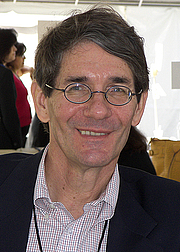 Michael Dirda is currently considered a "single author." If one or more works are by a distinct, homonymous authors, go ahead and split the author. Michael Dirda is composed of 4 names. You can examine and separate out names.